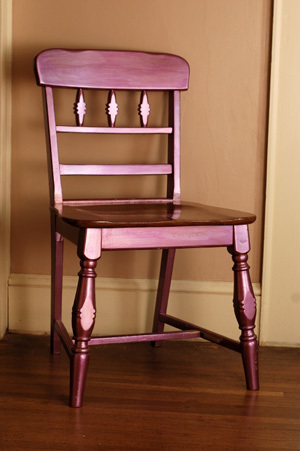 If you’re feeling bored with your current furniture, or perhaps it has simply seen better days, there’s no better way than spray paint to transform it into something you’ll love again. Paint in general can do wonders for rooms and furniture alike, but when it comes to furniture, if you want a professional look, you’ll need to learn how to spray paint. Once you master the art of spray painting, you can transform any object, and you can do so without breaking the bank. Thrift stores and garage sales are overflowing with well-made furniture with great lines that just need a little TLC. In addition, some of your own drab pieces can become favorites with a new coat of color. A can of paint and a paint brush may seem like the way to go, but you’ll end up with brush strokes and likely be stuck doing multiple coats. Don’t let spray paint intimidate you — it’s easier to get a professional look than you think. Stock up on all the supplies you need to ensure you can complete your job quickly without another trip to the store. You’ll need a mask, sandpaper, primer, spray paint and a sealer, depending on the project. Don’t be tempted to buy the cheap or generic brands of paint. Brand names like Krylon or Rust-Oleum may cost a buck or two more but it will be worth it in the end. Much like other paint, spray paint has several different finish options, from flat to high gloss. Be sure to select the finish to fit your needs; for furniture, the higher the gloss, the easier it will be to clean. If it is a high-use piece, avoid flat paint — satin or gloss finishes work best for most projects. If you have a large project on your hands, do yourself a favor and invest in a spray paint handle — it can save your finger from aches and pains and make for a quicker job. They’re only a few bucks at most hardware stores. Read the full article on this website.